KleenGuard Personal Protective Equipment (PPE) enables rather than inhibits – allowing for maximum productivity and safety for you and your employees. While not primary fire protection gear, KleenGuard™ A65 Coveralls are designed to be worn in areas where exposure to sparks is possible. Style: Hooded & Booted - Zipper front, Elastic wrists & ankles (MTO ITEM) -- this size is available on Made-to-Order which requires 30 case minimum order per product code. Product will be available within 8 weeks of order receipt. Features: - ANSI/ISEA 101-1996 sizing standard - Complies with the flame resistance requirements cited by paragraph 6.1 of CAN/CGSB-155.20-2000. 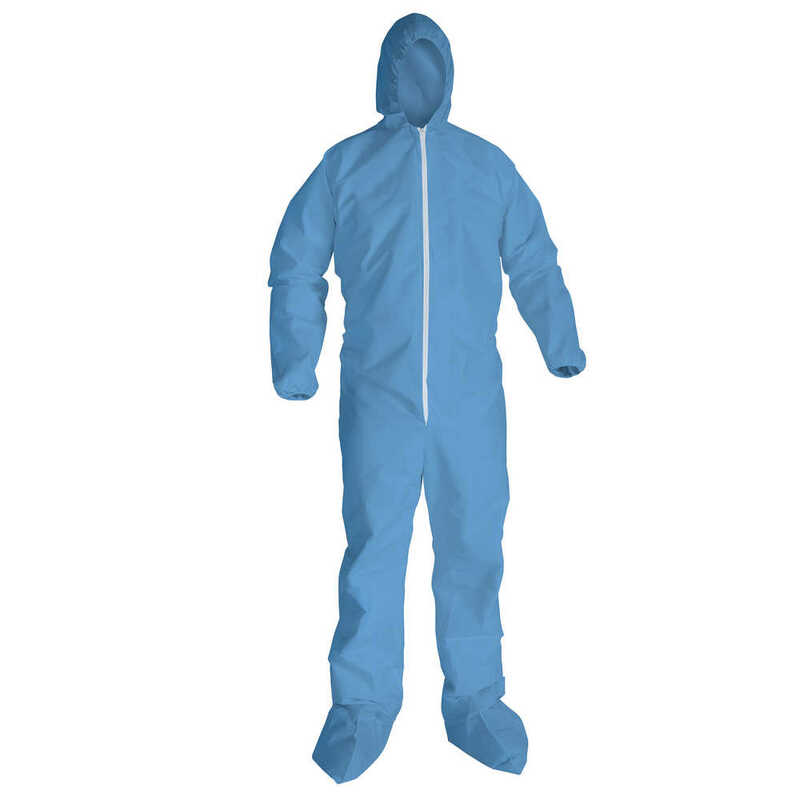 - Flame resistant compliant per NFPA 701 FLAME PROPAGATION TEST (1989 edition) - NFPA 99 compliant antistatic material - Zipper front - Comfortable, breathable and durable fabric resists tearing. TYPICAL USES: Welding; Oil refining; Utilities; Grinding. Making the right Personal Protection choice is difficult. Perform with distinction with KleenGuard Personal Protective Equipment (PPE).